Basho4Humanity | Basho Letters of 1688 – 89 ( Letters Year by Year ) | English collection of Basho's linked verse, tanka, haiku, letters, prose, letters, and spoken word about humanity - with commentaries to enable the ordinary reader to understand and enjoy Basho's words. the final of these gives an account of Basho on his world-famous journey to the Deep North. In early spring Basho traveled to Ise to visit the Grand Shrines, and there meet his follower Tokoku who came back with him back to Iga, then traveled together with him for three months. Tokoku parted from Basho in Kyoto, and Basho continued on to Nagoya; here he met up with Etsujin who traveled with him over the Kiso Road through the Japan Alps to Edo where he spent two months in Basho’s hut. Basho passed the winter and early spring in Edo, eager to go on another journey, this time to the Deep North. 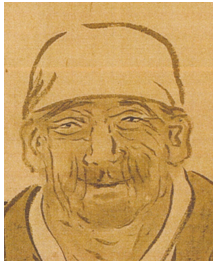 Basho accompanied by his follower Sora, traveled for five months to Gifu, then continued traveling to Ise, his hometown Iga, and Zeze beside Lake Biwa. and now am in Yamada town in Ise Province. At the Ise Shrine, the center of Sun Goddess worship, Basho wrote this haiku which he sends to Sampu in the letter; the blossoms here are deeply fragrant plum tree flowers. The 25th is my father’s memorial service so I will return to Iga. As it gets warm, I will go see the blossoms at Yoshino. so he has come to Ise, and is with me now. Tokoku -- a wealthy rice dealer in Nagoya who got caught in some shady deal in rice futures and was sent into exile at the tip of Atsumi Peninsula -- joined him in Ise. The convict was able to travel with Basho for three months because he hid his identity under an alias, Mangiku. Are Jokushi, his children, and wife too, alright? If they are without misfortune, you need not respond. will send your letter special delivery. Why is Basho so concerned with the family of Jokushi, a wealthy samurai from Mino now living in Edo? This question reappears when we get to Basho’s will at the end of this collection. Ihei is one of Basho’s neighbors in Fukagawa. 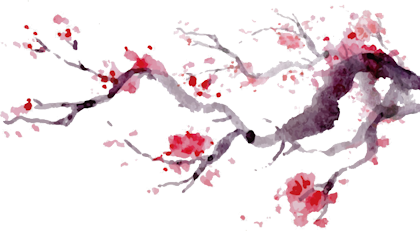 On April 19th Basho and Tokoku headed south to Yoshino to see the cherry blossoms that Yoshino is famous for, then west to Mount Koya, and north to Nara where Basho’s childhood friend Ensui along with the rice merchant Somu walked 18 miles to meet them, and spend more time together. While they were in Nara, they also attended the ground-breaking ceremony for a new hall at Todaiji, the famous temple where the Great Buddha, 50 feet tall, sits on a lotus pedestal 65 feet around. They parted, Basho and Tokoku to the west, and Ensui and Somu east to Iga. when we passed three leagues, you also three, this I now recall. Basho does something he will do again and again in letters to Ensui: he mentally links his activities with those of his old friend, transcending the barriers of space between them. Every step I take is one with every step you take, although we walk in different places and directions. We never really part: our spirits remain together. and massage your swollen shins . . .
Each of these five elements, as well as a similar spirit, appear in the final paragraph of J.R.R Tolkien’s The Lord of the Rings: Sam has parted from Frodo, as Ensui has parted from Basho, and returns to his home. Sam turned to Bywater, and so came back up the Hill,as day was ending once more. And he went on, and there was yellow light, and fire within, and the evening meal was ready, and he was expected, and Rose drew him in , and set him in his chair, and put little Elanor on his lap. He drew a deep breath, ‘Well, I’m back,’ he said. will be your souvenirs from this journey. In 1672 when a village woman, Ima, was 47, her father was sick. Told that if he ate unagi, eel, he would recover, she tried every means to get some, but none was available in this tiny village. One late night startled awake by the sound of water in a jug, she found eel flopping about. Her father ate these and got well. Ima was officially honored by the Shogun as a ‘filial daughter.’ She is now 64.
in which the eel appeared is still there. She served us tea and sake on straw mats. then presented the money to Ima as we left. To see that hidden within Ima made me count my sins. Mangiku wept for a while and could not settle down. On the first day of the Fourth Moon (in 1688, April 30th) people store away their winter clothing, but Mangiku on the road when this day came, had to carry around a robe he never wore. He managed to sell it to someone and gave the money to the old woman. Ima did not DO anything to make the eel materialize in her jug, however something ‘hidden within’ her enabled her prayer to get through to the kamisama so they responded. Sixteen years later Basho and Mangiku could see that devotion still hidden within her. quickly in passing. . .
We rent a palanquin to Taishi in Osaka. and spent the night in Hyojo. Taishi to the south of Osaka and Amagasaki to the west are 32 miles apart, both on the main island, Honshu, so Basho and Tokoku could have gone on land, but they chose to take a ferry. We see that in Basho’s time, as well as in ours, the Japanese used ferryboats to get around their island nation. spill all over my notes. Tokoku’s charming note well conveys the mountainous, well-watered terrain of Japan. He seems obsessed with counting and recording things – which probably helped him in his business dealings. With his business gone, he goes on cataloguing everything -- until at the end he gives up. This diagram of Mister Mangiku’s snore I present to you. When Tokoku (sorry, “Mangiku”) was in Iga, he stayed in Ensui’s house, so maybe with the help of this diagram, Ensui can recall the tones of his snore. It truly is a “diagram”– a sketch, drawing, or plan which explains a thing by outlining its parts and workings -- however the thing diagrammed is a snore. More Basho nonsense. Ten bu makes a sun (inch), and ten sun make a shaku (foot), so the snore bulges out to 47 inches, and all that sound comes from a hole just 1.2 inches in diameter. (I love the precision). Then, on the right side, the snore rattles along like a kuruma nagamochi, a huge wooden chest on wheels kept near the door, in case of fire used to get valuables away from the house. In 17th century Japan, however, wheel technology is not so advanced (no rubber, no shock-absorbers, no casters, just wooden wheels on a wooden axle) so the heavily laden chest shakes about a lot as it rolls – which is how the snore ends. It is difficult for me to study this “diagram” without laughing uncontrollably. We begin this year with New Year’s letters to Ranran and to Ensui; then another letter to Ensui in April; and a letter to Sampu in June. In the first letter to Ensui, Basho jumps back and forth from past journey to future journey exploring how time passes. In the second he does more of the same, and provides a fascinating list of what he will carry. The letter to Sampu is the only one in this collection actually written on the journey to the Deep North. A Narrow Path in the Heartlands is world-famous and everywhere represents Basho – however Letter 44 to Sampu in a small way provides a more personal account of Basho on a journey. Ranran, one of the first in Edo to follow Basho, has been with him since 1674.
for every favor and the heart attached, thank you. Ranran made a New Year’s visit to Basho’s hut, but the wind was so noisy they could hardly hear each other, and Ranran returned home. our great hopes without passing shall become clear. Since last autumn, thoughts have filled my heart and so I have not written to you. Sometimes I hear from my brother about the presents you have given. Ever and again I long to be with you. Last autumn on the Kiso road accompanied by a crazy man named Etsujin, our lives in danger at the Hanging Bridge, the mountain where the son “could not be consoled” as he abandoned his aged mother, the sounds of pounding cloth, rice field clappers, voices chasing away deer, all were deeply moving, yet still only thoughts of you emerged in my heart. “Crazy Man” is a term of affection. Basho takes Ensui on a montage of memories from his Sarashina journey recorded in D-6 LAUGHING ALONG. In the legend of Mount Obasute (“Throw-away Old Woman,” a man following village custom took his old mother to the mountain, but when he returned and saw the moon, he “could not be consoled” and went back to bring her home. Women pounding damp handspun fiber cloth on a block to soften it. Shaking clappers, wooden blocks tied together, hung over rice fields to scare hungry sparrows, is an autumn chore. The farmers shout to drive away deer from raiding the crops before harvest. “Field” (ta) means rice field, now at New Years, in early February, a barren expanse of mud and frost with row after row of rice stubble. The Sun (Goddess) is weak and cold, yet contains the promise of better things to come – and so Basho loves her. There is nothing in this verse that ties it to Basho’s time; any person on Earth can see it on any New Year’s Day. the pleasant thoughts we shall share. tears shed are hard to forget. What we discussed has not left my mind. I have cast away fish and fish flavor from my mouth. “One who eats meat kills the seed of Great Compassion”. Japan accepted Mahayana Buddhism, but not the prohibition against fish. In the 9th century the Emperor Saga forbade meat consumption except fish and birds, and through the centuries the Japanese (in general) followed this rule rather than the Buddha’s. Along with actual fish, more protein, vitamins, and omega-3 fatty acids came from octopus, sea slugs, fish eggs, seaweed, and other slimy creatures that Western readers may not consider food -- though I have seen modern Japanese kids eat them with relish – and the same kids enjoy hamburgers. “Until foam vanished on the water” means “until I die” yet also suggests the scene Basho saw last April in Gifu, the famous cormorant fishing on the Nagara River. Throughout the ages countless Asians have been vegetarian because religion/family/society demanded. Mohandas Gandhi speaks of arriving in London after growing up Hindu to discover the writings of an English vegetarian: “From the date of reading this book, I may claim to have become a vegetarian by choice.” Basho, like Gandhi, makes a conscious choice to “cast away” fish from his diet, not only fish in fish form, but also in the flavor added to tsumami, snacks such as crackers. (One of the most popular in Japan today is takoyaki, literally “fried octopus” but actually fried batter with bits of octopus for flavor.) Most Japanese would not consider this 'meat eating,' but Basho says “no” to fish flavored snacks as well. So, vegans, Basho for the final five years of his life was one. The rice merchant Somu accompanied Ensui to meet with Basho and Tokoku in Nara in 1688 (see letter 29 to Ensui). Ensui and Somu sent a letter to Basho. Here Basho replies, a month and a half before he leaves on his journey to the Deep North. Your letter came together with one from my brother. so last year’s rain at Ichinomiya, I cannot forget. My belly which eats no fish rustles gently. the cherry blossoms at Shiogama before they fall. The great city of Edo (now Tokyo) is famous for consumerism. Noin and Saigyo were two famous traveling poets. By the time Basho will leave on this journey, spring, the season of hazy moon and cherry blossoms will be past, however in the Deep North he hopes to see these phenomena once more this year. “Five coins” is about 100 yen or one dollar today. 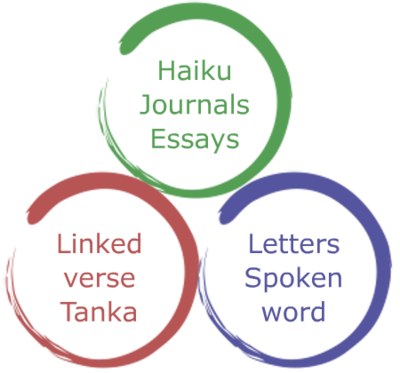 Would you buy a tanka from Basho for a buck? Is there is no market for haiku? Maybe he could get a quarter for one, or five for a dollar. This mention of tanka Basho wrote and sold to people for a paltry fee suggests that there were of Basho tanka out there in the world that nobody paid attention to because they were bought for so cheap. I sent you a letter from Kurobane on the Nasu plain. Was it delivered? I have been robust; the moxa before leaving worked. Before a long journey, cones of moxa were burned on acupuncture points of the feet to make them strong. We left Nasu to visit the Lifekiller Stone a 15 mile detour for some sightseeing. Basho has traveled back and forth between east and west, always at a single latitude. Here for the first time he is far enough north to change the timing of seasons. My regards to all the folks in Fukagawa. How is Old Soha doing with his sickness? I hope he gets better and recovers his heart. As for me, I have not written many haiku. we speak only about you in Edo. On this day of last month, you came to visit me in Fukagawa. More than a visit from anyone else, this brought me tears. and life-affirming works in world literature.